We offer same day service for your convenience. 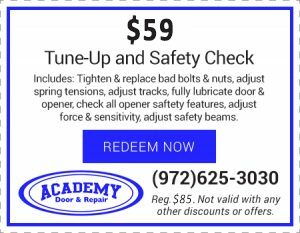 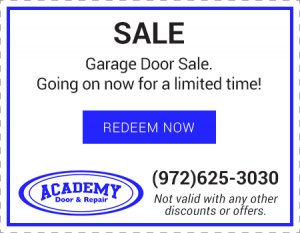 Contact us today to take advantage of any of our garage door service specials. 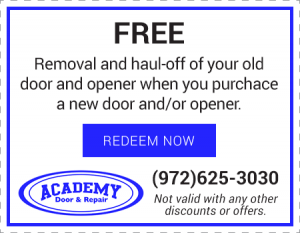 We proudly serve residential and commercial clients throughout the Dallas Fort-Worth metro-plex area. 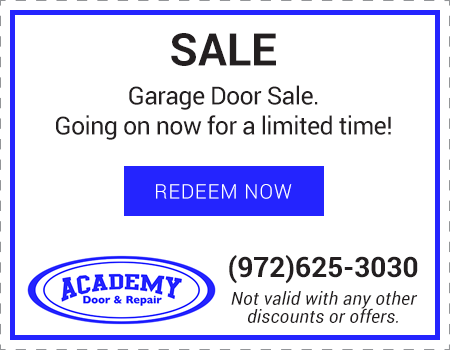 © 2019 Academy Door and Repair All Rights Reserved.